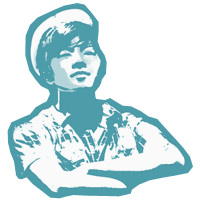 Think of Bak Kuh Teh and Song Fa might just appear in most people's head. This is not surprising at all, considering that their history of selling Teochew-style Bak Kut Teh was deep rooted since 1969. 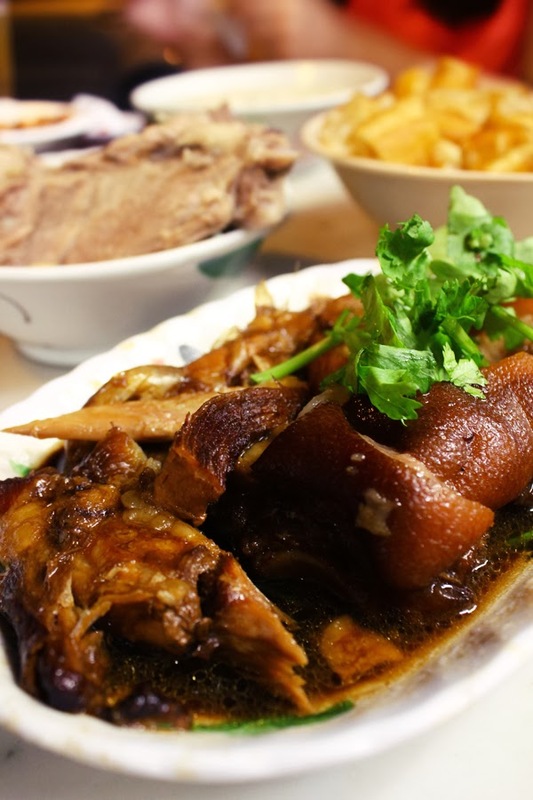 From a humble assistant in a Teochew stall, Mr Yeo Eng Song established the original Song Fa Bak Kut Teh at Victoria Street, and has since passed the duty to his son, Mr Yeo Hart Pong. Today, snaking long queues never cease to disappear during meal times, while patrons from all walks of life filled the rustic halls that depict the yesteryear of Singapore. 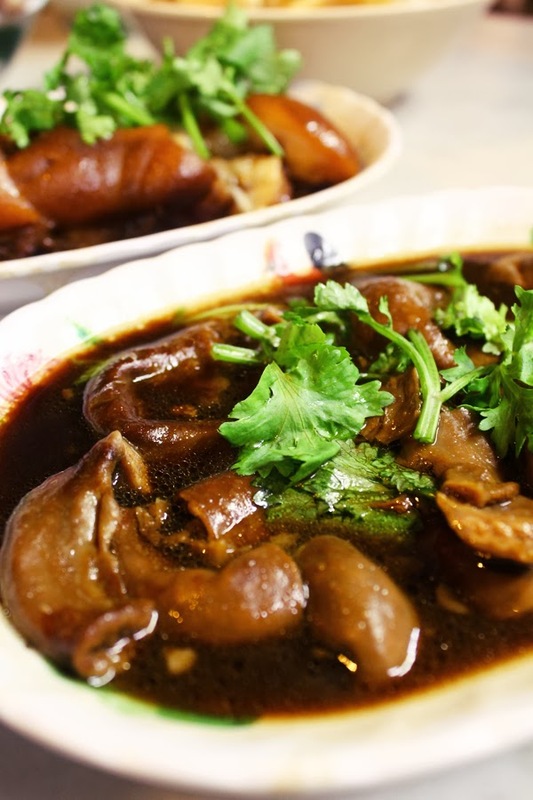 Besides their famous pork rib dishes, they offer a variety of braised treats, fish soup and other side dishes, like peanuts and vegetables that would enhance the diner's experience. Catering towards the new generations yet encompassing the traditional, authentic flavour was a challenge for Mr Yeo Hart Pong. But I would dare say the results were pretty good. Their signature Bak Kut Teh dishes were garlicky, peppery, aromatic, hot and robust with flavours that would warm your hearts. Having been here more than a few times, the benchmark was set at a pretty high standard. But sad to say, my recent visits were quite disappointing in terms, that the pork ribs were not as tender. Nevertheless, it is still right to say that the meat come off the bone as easily. Oh! Never, ever forget to order You Tiao (fried dough fritters) to go along with their delicious, refillable broth! Soak them for a few seconds (not too soggy!) and savour the best of both worlds. Their rendition of Pig Trotters was good and tender, but nothing exceptional. The gravy, mixed together with the broth of the Bak Kut Teh makes for a perfect complement to the rice. Just saying. Ooh, now this is awesome. If you are to eat at Song Fa, have a try on their Braised Pig Intestines (well, unless you can't stand the awesomeness of offal, like my girlfriend). Their soft, tender braised offerings were deluged in an abundance of fragrance that is.. mmm.. so, so, very yummy. Too bad this ain't refillable. 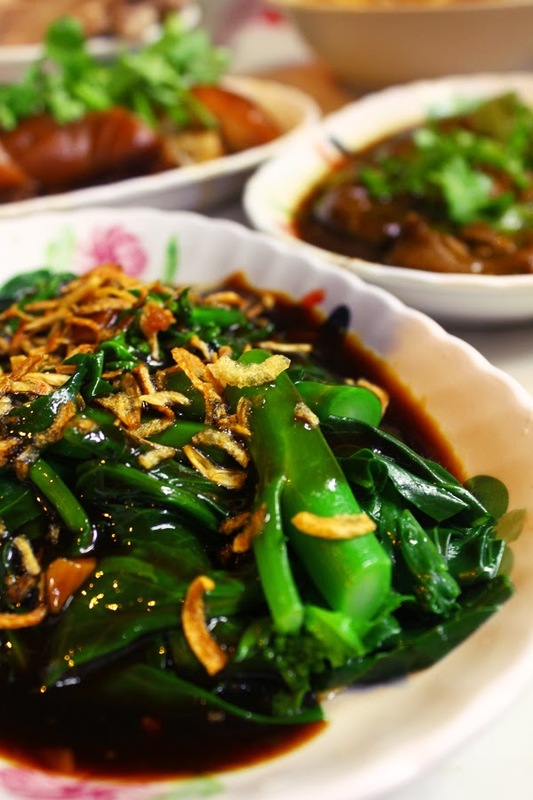 Vegetables, well, they serve from a selection of cai xin, kai lan, xiao bai cai and vegetable soup. 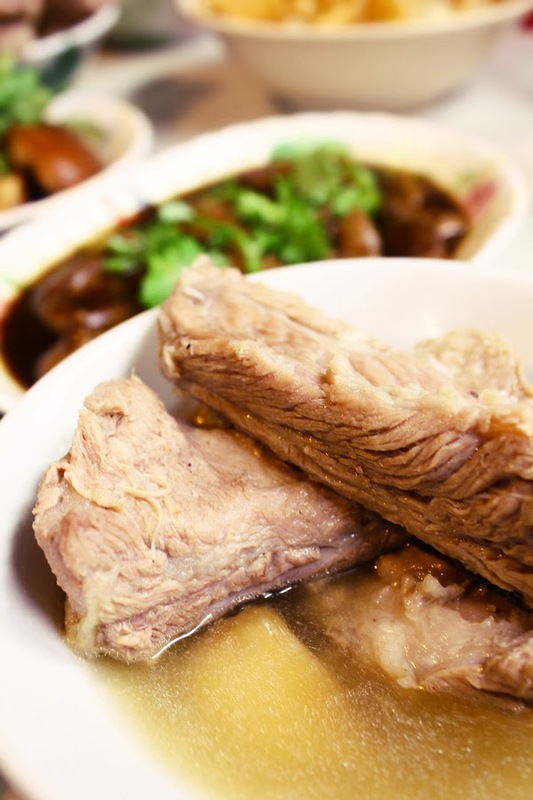 In a nutshell, Song Fa is definitely the place to head to for authentic Teochew-style Bak Kut Teh. Although I still prefer the stronger herb-flavoured Cantonese version, if cravings call, I might just return to Song Fa again. I'll just hope it gets to that benchmark it has set itself years ago.